Kiku Sushi is a large Chinese-operated Japanese restaurant located in the same complex as the London Drugs near Metrotown. 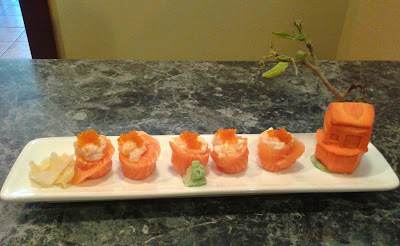 The menu is very extensive and features many different special rolls and appetizers. Since I arrived before 4 p.m., I was also able to take advantage of their Lunch Special Lucky Choice menu, from which you can choose three items and receive a miso soup for just $9.50. I'm not sure why they called it "Lucky Choice", but perhaps it refers to the idea that there are good and bad items on the menu, and you have to be lucky to choose the good ones. The first item to arrive from the Lucky Choice menu was the Chicken Teriyaki, and I had above average luck with this one. The chicken was tender and the skin was appealingly crispy. There were lots of bean sprouts, though they were mostly undressed and not particularly special. 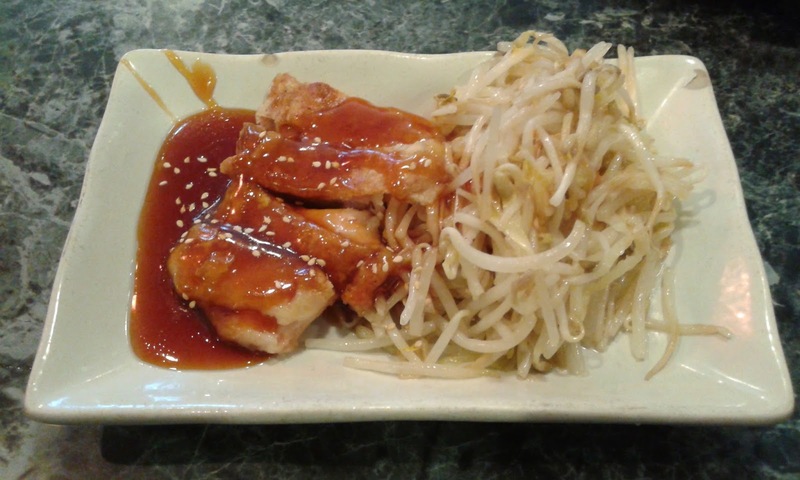 The only odd thing with this dish was the teriyaki sauce, which had a rather thick consistency. With the Coconut Prawn Tempura, my luck epically failed on me a second time. In this dish, they tried to add minuscule pieces of coconut to the batter to give it a slight coconut flavour. This gave the batter a hard texture and a burnt appearance. The coconut and spicy mayonnaise did not really go together either. The only plus was that the prawns were sufficiently juicy. 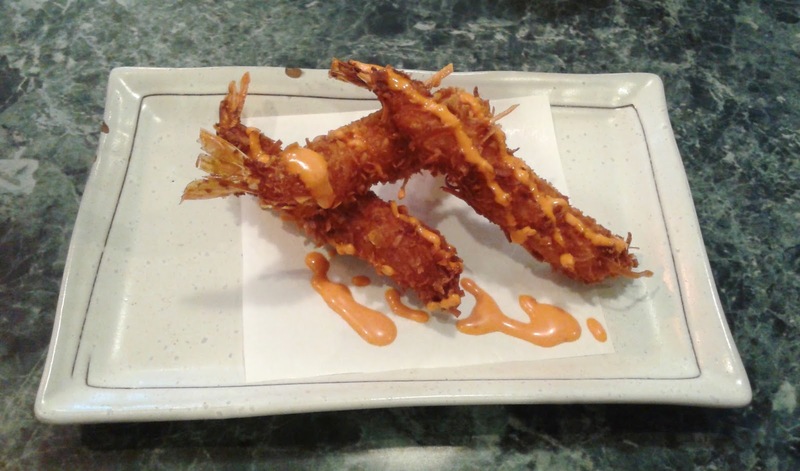 I appreciate the attempt to innovate, but tempura batter gone wrong wasn't exactly what I was looking for. The Miso Soup was by far the best item from the Lucky Choice menu. I think I should have just let them choose all of the items for me. 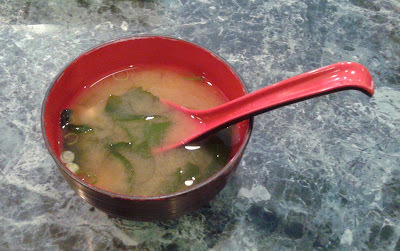 The Miso Soup came with tofu, green onion, and lots of seaweed, and it featured a pleasant balanced flavour. After the Lucky Choice menu, I sampled some of their nigiri. The saba was not too salty and had a rich flavour, though it was not very soft. 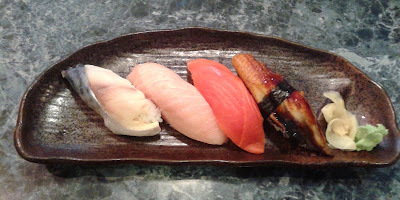 The Toro Nigiri featured excellent soft and melty toro, and the fish-to-rice ratio was roughly correct. The Sockeye Salmon Nigiri had neither enough flavour nor a smooth texture. Finally, the unagi was sliced thin and had a bit of a bony texture, even though it was not actually bony. The sushi rice was average and would have fared better with more flavour. I received attentive service during my visit, though this could be because they sat me right next to the cash register, where most of the waitresses were hanging out. 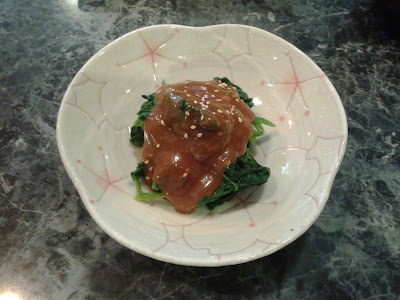 There were several successful dishes, though I lost two lives during the Lucky Choice special. 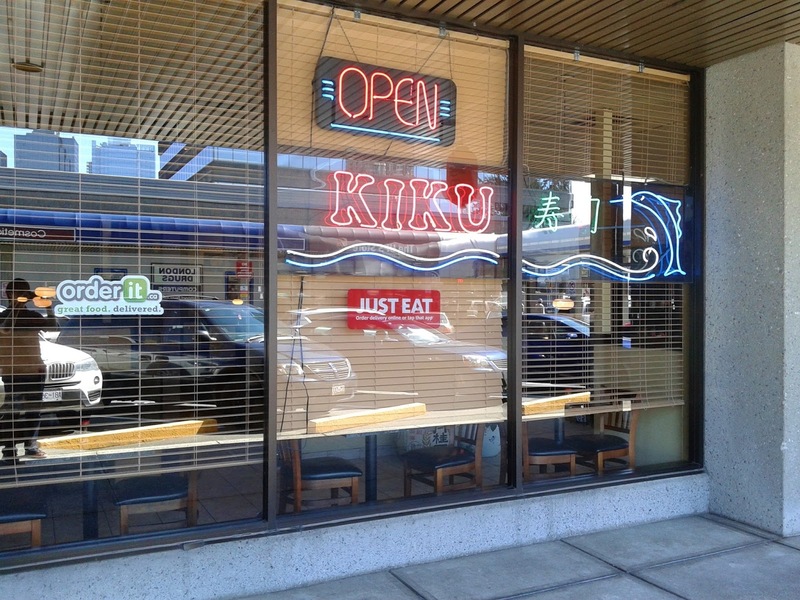 If you visit Kiku Sushi during lunch hours, make sure you bring your luck with you when ordering from the Lucky Choice menu. Don't fall into any of the traps!